The board of directors has been informed of the organisation of the Assembly of Delegate Members, which will happen on the 29 October at the Palau Blaugrana. The board has stressed the importance of the participation of all members and stated that all the information relating to the Agenda will be available prior to the meeting.To facilitate this, various information-sharing events will be held at the club's facilities on the 25 and 27 October to aid the process of making the documentation available to all member delegates. The board of directors are highly satisfied with the first weeks of the 'supporters stand' in the north goal at the Camp Nou. They have concluded that the terrace is fulfilling its role of providing more vocal support for the team and encouraging other sections of the ground to follow suit from the first minute of games. It is also noted that the behaviour of the supporters that lead chants and songs has been faultless, with no incidents so far. Coinciding with Saturday's game against Deportivo de la Corunya, a second phase in the admission of new supporters to this space was started until the 865 places have been occupied. If the project continues to develop with no incidents as it has done so far, a third phase will be opened, between the end of December and the start of January, until the maximum number of 1,245 places has been reached. 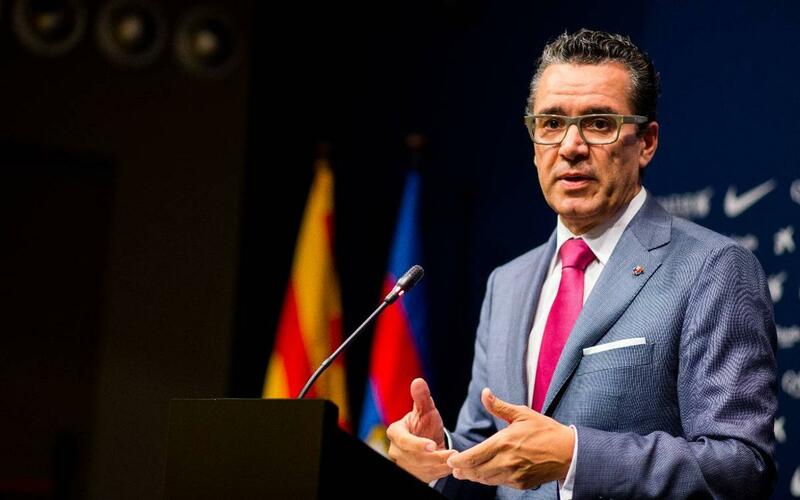 In the following weeks the director general of the Police, Albert Batlle, and the FC Barcelona's vicepresident, Jordi Cardoner, will meet to evaluate how the 'supporters stand' has worked so far. The board of directors has been informed of the presentation of the Masia 360º Project, which will take place on the 26 October at 19.30 CET in the Palau Blaugrana. The event will be attended by 607 athletes from the academy, the four professional sections, the respective members of staff and the players' parents. This project, which is a central part of the club's strategic plan, aims to support the players from the moment they arrive at Barça, via their education and with the active participation of their parents, until they retire from their chosen sport and find alternative employment. The board of directors were pleased with the presentation of the FCB Universitas project, Sport Innovation Hub, that the commissioner and director of the club, Dr. Jordi Monés did last week in FC Barcelona's New York offices and at the Harvard Club in the same city. The presentation was attended by representatives from the universities of Georgetown, New York, Fordham, Harvard, Columbia and Cornell as well as the United Nationals, UNICEF and Mount Sinai. Moreover, sporting institutions such as the MLS (Major League Soccer), the NBA, LaLiga, the New York Red Bulls (football), the New York Rangers (ice hockey), the New York Yankees (baseball) and the Brooklyn Nets (basketball) were also present. FCB Universitas Sport Innovation Hub is the instrument designed to project and share the information generated by FC Barcelona. Its mission consists in creating a centre recognised worldwide as a leading light in research and development within the sporting sector. Collaborating with the leading brands and professionals, the key areas include medical services, technology, team sports and social sciences. Concerning the implementation of the project in the United States, FC Barcelona is already collaborating with the University of Georgetown, in Washington DC, to organise a Symposium on the subject of leadeship in football. This course will offer attendees a platform to explore working opportunities in sports management and the objective is to create synergies with the professionals at FC Barcelona as well as exploring possible future collaborations. The board of directors has confirmed another FCBEscola will open, this time in Guatemala, where various camps have been carried out successfully since 2014. It will be the 25th FCBEscola in the world and the fourth in a Latin American country, after Brazil, Peru, and the Dominican Republic. In this case, the club is planning the construction of facilities to be used solely to carry out the activites of the school. Moreover, a new wifi and app for FC Barcelona members has been approved.